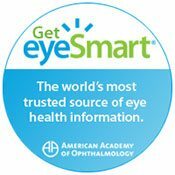 We are proud to utilize the American Academy of Ophthalmology’s Patient Education Portal – EYE SMART! Please click the link below to read more about eye conditions and diseases. Disclaimer: The family eye care information provided on Eye Care Center of Northern Colorado, PC regarding Glaucoma, Diabetic Retinopathy, Macular Degeneration Corneal Refractive Therapy, Optical and Contact Lenses for Longmont, Lafayette, Boulder, Denver, Fort Collins, and Greeley patients is only meant to provide information as public service. The website content is not intended to substitute for health care provided by a clinician. Email or call us at 303-772-3300 for more information.